(South) 1877 cover to Scotland with single franking surcharged 8 Pence on 9d tied Adelaide cds, Greenock arrival backstamp; fine and clean condition. (Victoria) 1872 cover to London bearing single franking 9d. on 10d. tied Melbourne duplex, arrival backstamp. Endorsed �Via Brindisi�, envelope opened-out for display. 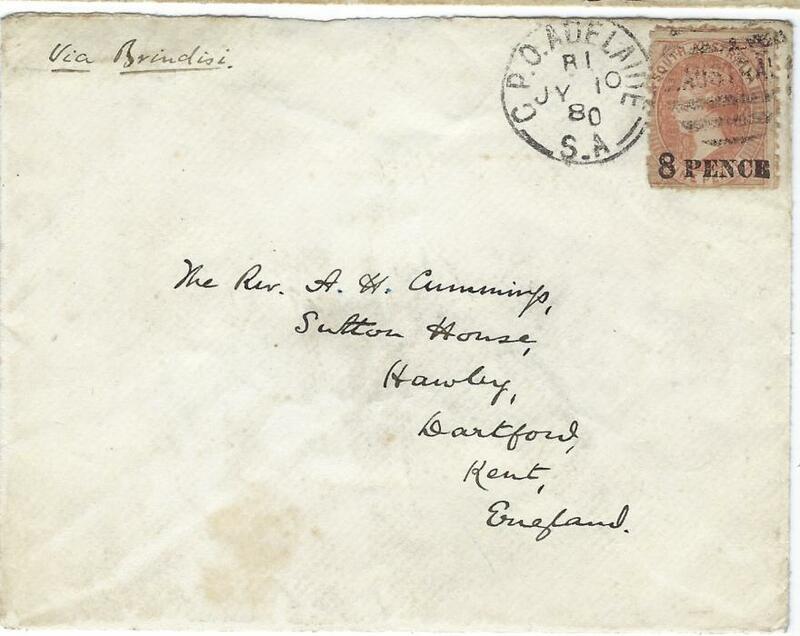 1872 pair of covers from Calcutta to London, one JA 12 and �Via Southampton�, arriving 10 Feb, the other franked at higher 8a rate on NO 9 �Via Brindisi�, arriving 2 DE. An attractive pair. 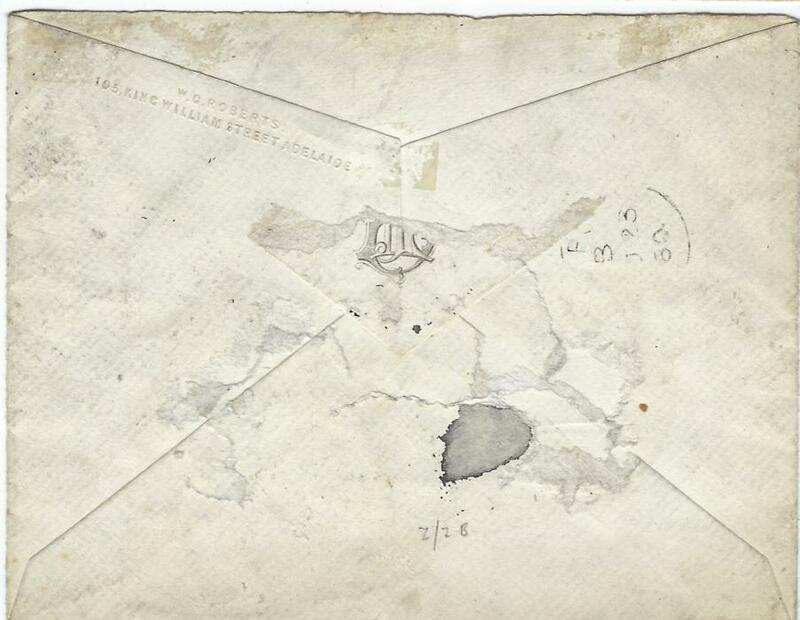 1877 Ship�s mail bag cover (flap missing) to Kent bearing Great Britain 1d red plates 178, 179 (5) and 182 (3), some apparently re-used with previous fragments beneath. This 9d, was equivalent of 36c. rate, cancelled by �43� numeral obliterators, endorsed �Via Brandesi� but carried via Southampton rather than Brindisi with Feb 26 1877 transit backstamp. Ex Scott-Archer. 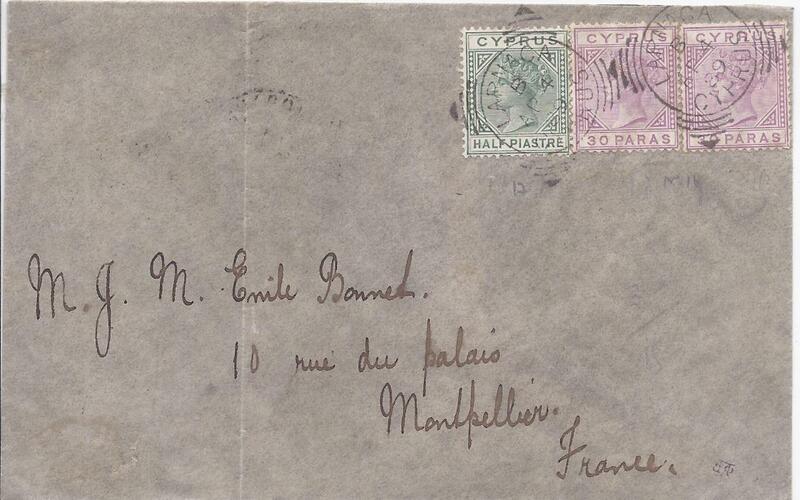 1889 (AP 4) cover to Montpellier, France, franked �pi. and pair 30pa. 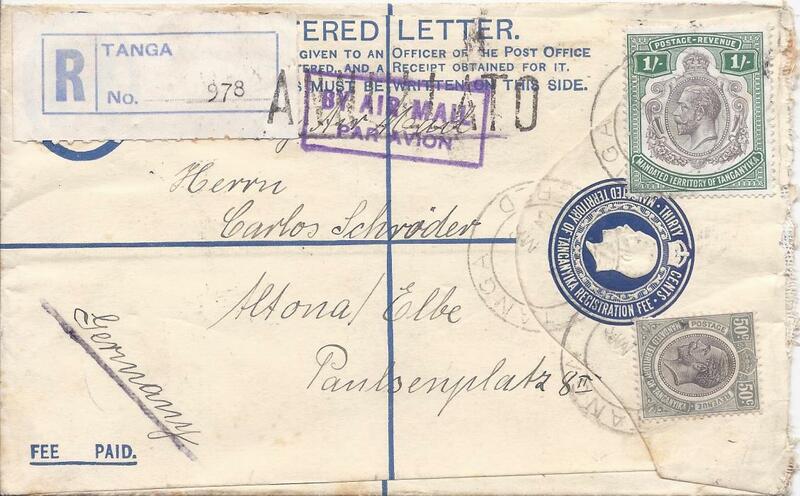 tied Larnaca square circles, reverse with Brindisi transit and arrival cancel; light vertical crease at left. 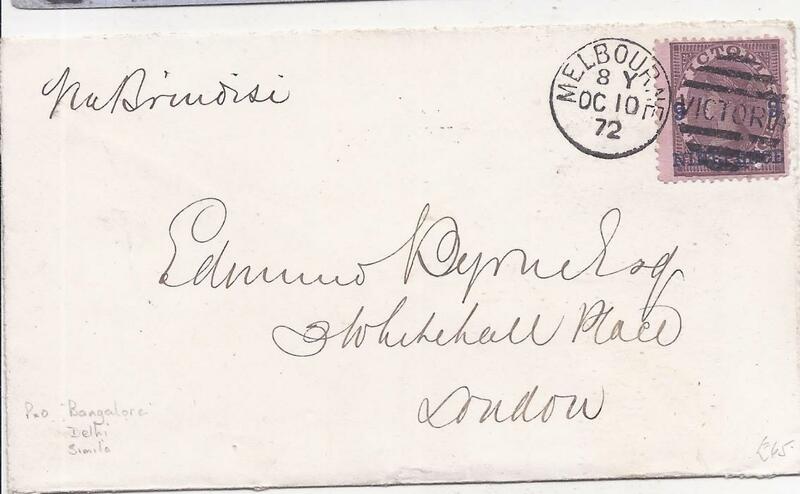 New South Wales: 1880 (JY 20) cover to England franked 8d. yellow-orange, perf 13, paying the ship letter rate, via Brindisi, from Sydney to England. Carried on the P&O Ship �S.S.Assam�; light vertical filing crease to left. 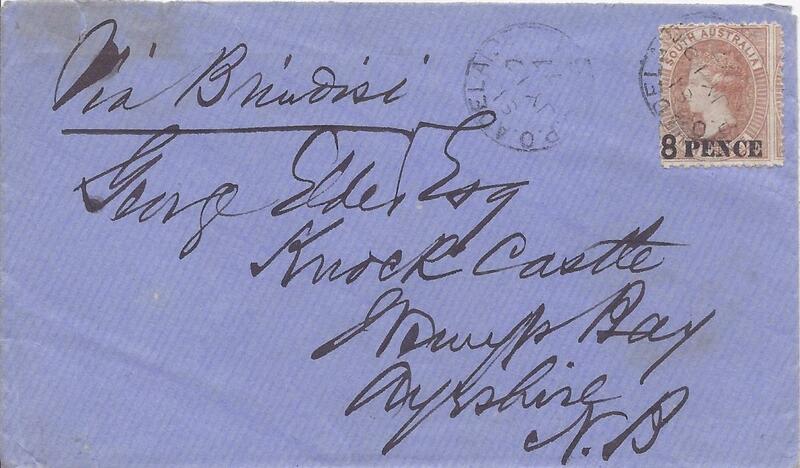 New South Wales: 1881 registered cover to Brighton franked with diadem 8d. yellow (imperf between stamp and margin at right) plus two 2d. D.L.R. 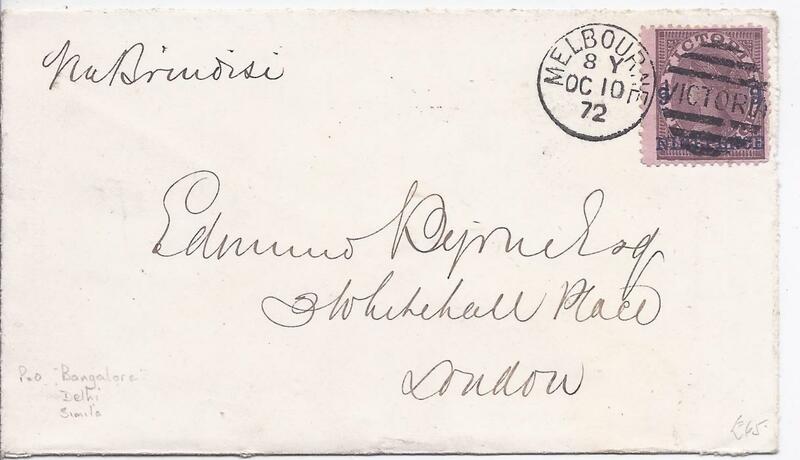 to pay the registration fee, cancelled by roller with double-oval Registered Sydney date stamp, London transit above this and arrival backstamp; small part of backflap missing. 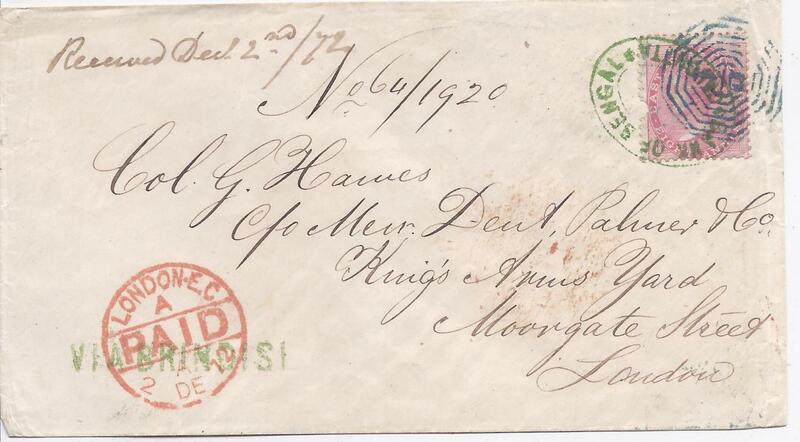 South: 1875 (AU 12) cover to Newcastle bearing pair of 9d red-purple (SG 77) paying for over � oz rate via Brindisi. Travelled via PERA Adelaide 13/8 to Galle, CATHAY to Suez & BARODA Alexandria to Brindisi, taking 45 days. 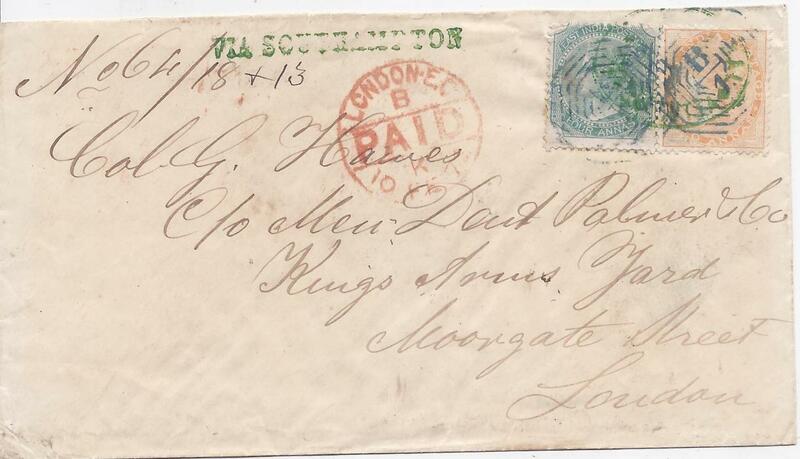 South: 1880 (JY 10) cover to England bearing single franking '8 PENCE' on 9d. tied Adelaide duplex, paying the via Brindisi rate. Missing backflap and other slight faults at back from mounting. 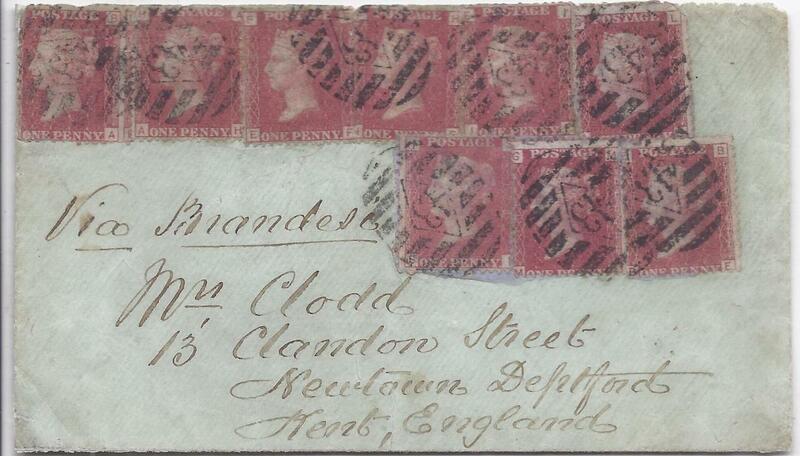 Tasmania 1875 double rate cover to England franked damaged strip of four 2d. plus 3d. p[air and two singles, both with watermark wide space 'TAS' perf 11.5, cancelled with '37' numerals, George Town cds in association, Launceston transit backstamp. The cover endorsed "via Brindisi" which would have cost 2 x 9d. so was presumably sent instead via Marseille which cost 2 x 10d. 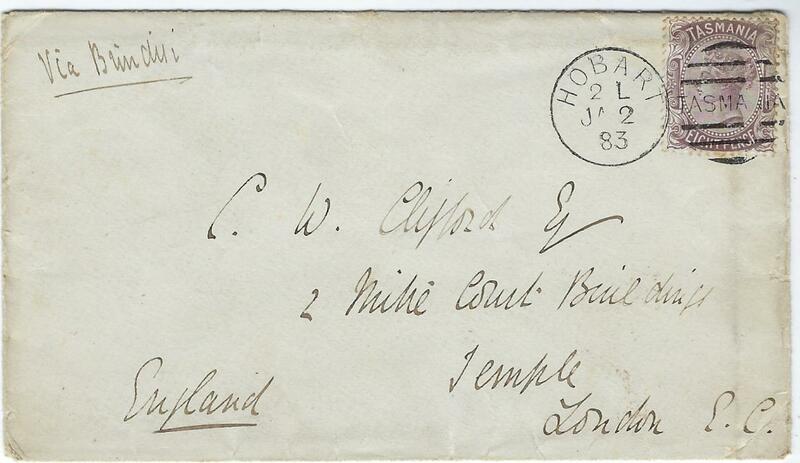 Tasmania: 1883 (JA 2) cover to Temple, London bearing single franking 8d. 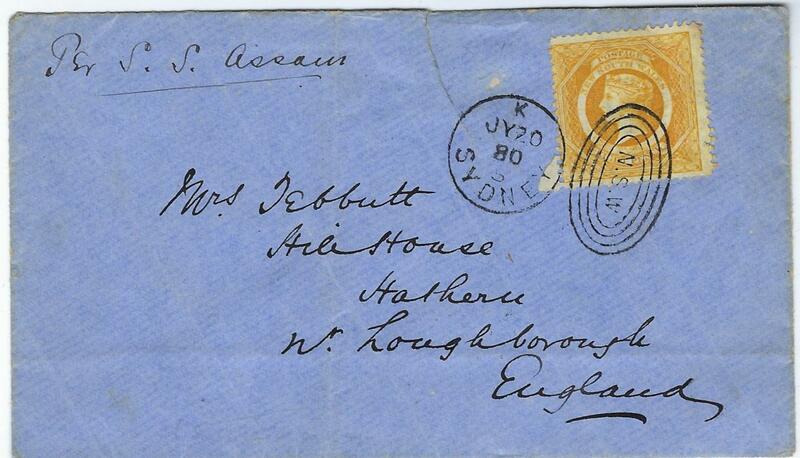 dull purple-brown tied Hobart duplex, London arrival backstamp. 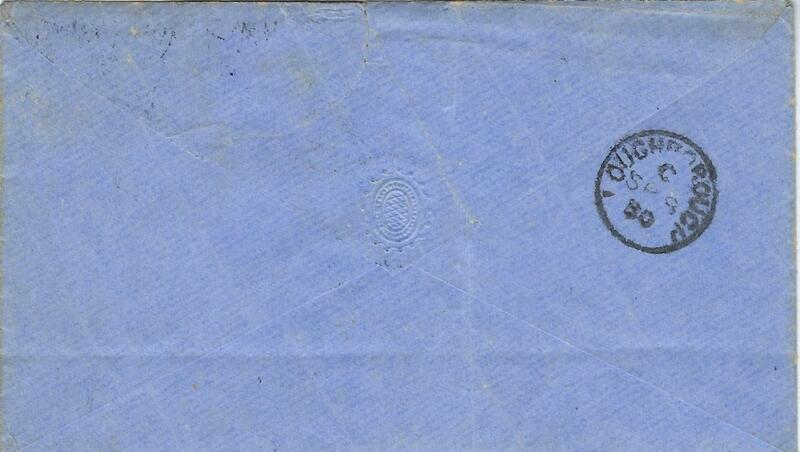 Victoria 1872 cover to London bearing single franking 9d. on 10d. tied Melbourne duplex, arrival backstamp. Endorsed "Via Brindisi", envelope opened-out for display.